Welcome to our movies about writers section. Here you will find many great and entertaining movies made about fictional writers and literary legends. We have linked the film titles to Amazon where you can watch the trail and order the film if you are interested. Gwyneth Paltrow plays poet Sylvia Plath in this 2003 movie. Daniel Craig stars as British poet Ted Hughes. The film was written by John Brownlow and directed by Christine Jeffs. 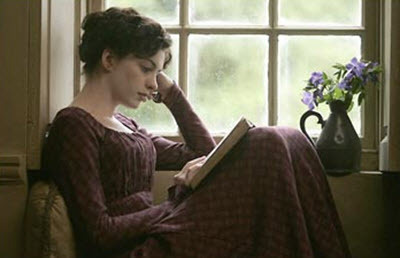 Anne Hathaway plays young Jane Austen in the film Becoming Jane. The 2007 film also stars James McAvoy and James Cromwell. It was directed by Julian Jarrold. Many writers seek fame but no writer wants to find themselves in this strange scenario. The 1990 horror film is based on the Stephen King novel. 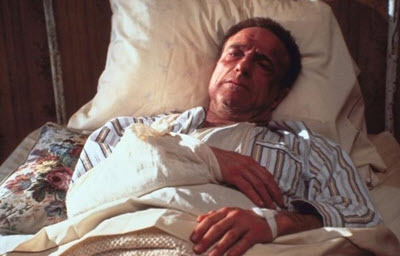 It stars James Caan and Kathy Bates. 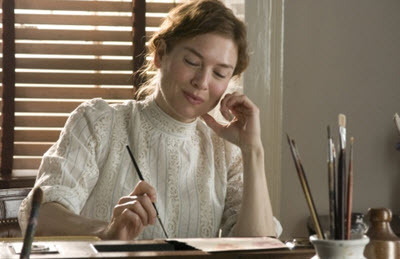 Renee Zellweger plays Beatrix Potter in this 2006 movie directed by Chris Noonan. Beatrix Potter is best known for her children's book, The Tale of Peter Rabbit. The film also stars Ewan McGregor and Emily Watson. Sean Connery plays a reclusive writer who becomes a mentor to a talented young African-American teenager (Rob Brown) in this moving drama. The 2000 film was written by Mike Rich and directed by Gus Van Sant. 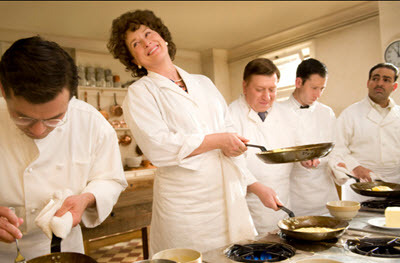 Meryl Streep plays Julia Child in this 2009 film. Amy Adams plays writer Julie Powell who attempts to make 524 of Julia's recipes in a year. The film also stars Stanely Tucci. 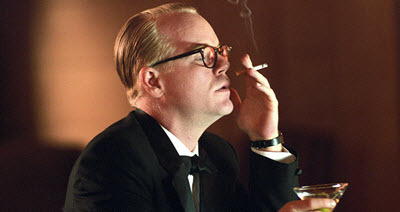 Philip Seymour Hoffman became writer Truman Capote in this engrossing film directed by Bennett Miller. The 2005 film is based on the book by Gerald Clarke. Much of the film follows Capote's research for his famous book, n Cold Blood. Ewan McGregor plays a ghostwriter tasked with helping the British Prime Minister write his memoir in this thriller. The 2010 film also stars Pierce Brosnan and Jon Bernthal. It was directed by Roman Polanski. Harold Crick (Will Ferrell) is a character trapped in an author's novel in this hilarious comedy. Crick can hear the author's voice narrating his life. Emma Thompson plays the author Karen Eiffel. Crick's life may be in danger because she is known for killing off some of her main characters. Joseph Fiennes is the famous playwright William Shakespeare in this movie directed by John Madden. The 1998 film also stars Gwyneth Paltrow as Shakespeare's muse Viola de Lesseps. Viola inspires Shakespeare to write his famous play, Romeo and Juliet. The film also stars Colin Firth and Judi Dench. Gil Pender (Owen Wilson) is a writer working on his first novel in this 2011 romantic comedy from Woody Allen. Pendel is in Paris on vacation with his fiance. The lucky writer has several experiences traveling back in time where it meets literary legends from history, including F. Scott Fitzgerald (Tom Hiddleston), Ernest Hemingway (Corey Stoll), Salvador Dali (Adrien Brody) and T.S. Eliot (David Lowe). Bryan Cranston plays blacklisted Hollywood screenwriter Dalton Trumbo in Trumbo, a historical drama directed by Jay Roach. The 2015 film is based on the book by Bruce Cook. The blacklist begin in 1946 and targeting artists labeled as Communist sympathizers. This film follows two reporters from The Washington Post as they investigated the Watergate scandal that brought down President Richard Nixon. 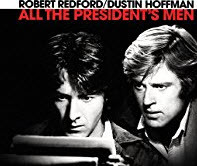 The 1976 film stars Dustin Hoffman as Carl Bernstein and Robert Redford as Bob Woodward. It is based on the book by Woodward and Bernstein. Johnny Depp plays Peter Pan author J.M. Barrie in this film direct by Marc Forster. It also stars Kate Winslet and Julie Christie.